The state capital of Louisiana, Baton Rouge encapsulates the quintessential Louisiana experience – be it the state’s 300 year-old history, the delectable local cuisine or the inimitable local culture. Only an hour away from Louisiana’s New Orleans and Lafayette, get on a low-cost flight to Baton Rouge to explore all things Louisiana. If you’re looking for one specific reason to get on the next cheap flights to Baton Rouge, look no further than the city’s prolific art and history scene. Baton Rouge’s unique name, which literally translates as the ‘Red Stick’, comes from the red posts used by native tribes to mark their territories. The city is also very popular for its several restaurants that serve up an assortment of Cajun and Creole fare. And if that isn’t enticing enough, here are a few more reasons to grab any cheap plane tickets to the heart of Louisiana. USS Kidd – History buffs can’t afford to miss the USS Kidd, so named for Rear Admiral Isaac Kidd, Sr., who lost his life to the 1941 strike on Pearl Harbor. Once known as the ‘Pirate of the Pacific’, this destroyer has a long and intriguing history, and has featured in several movies and documentaries. While here, shop for unique artifacts or browse through the impressive model ship collection. Old State Capitol – A striking castle built in the Gothic-Revival style, Old State Capitol embodies the state’s eclectic past. 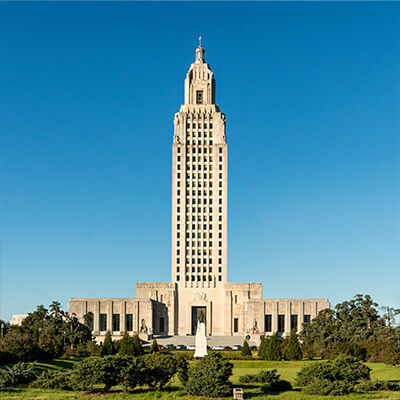 Now home to the Museum of Political History, the ‘castle on the river’ is a national historic landmark, is acclaimed for its distinctive architectural style and has served as the seat of Louisiana’s state legislature. Magnolia Mound Plantation – Journey back in time to the 18th century, when you visit this well-preserved plantation. Built in the French Creole style that was typical of Louisiana’s early French and West Indian settlers, the plantation house is one of the earliest to be found in present-day Louisiana. The original house has changed owners several times over the years, each of whom added to and expanded this antebellum property. Louisiana State Museum – Comprising nine museums that showcase Louisiana’s art, history and industry, a visit to Louisiana State Museum is a great place to discover the prominent historical events and eras that have shaped modern-day Louisiana. Here, you can learn about important topics such as slavery, the Civil War and the historic Baton Rouge Bus Boycott of 1953, and explore the development of the city’s sugarcane, oil and shrimp industries. Louisiana Art and Science Museum – If you’ve brought the children along on your last-minute flights to Baton Rouge, make sure to take them to the Louisiana Art and Science Museum. With several art and science galleries and a planetarium, the museum offers plenty of ways to keep visitors of all ages engrossed. Besides, the museum is located in a historic 1925 railway station, which makes it a great hit with young visitors. Food Tours – No visit to Baton Rouge is complete without savoring the city’s unique Creole and Cajun delicacies. Baton Rouge food tours combine architecture and history with lip-smacking local fare – learn about the history of Baton Rouge’s most significant landmarks, such as the Heidelberg Hotel, while you munch on beef po-boy at poor Boy Lloyd’s or savor Stroube’s signature crab and corn Brie bisque. As locals will vouch, the city’s food alone is reason enough for you to grab cheap airline tickets to Baton Rouge. Baton Rouge is the perfect city for a quick weekend getaway, or a great place to begin exploring Louisiana as part of a more leisurely stay. To get your hands on the best Baton Rouge flight deals, head right to Lookupfare’s website or app. In addition to booking cheap flights for Baton Rouge, you can also customize your travel packages as per your requirements. The easy layout and user-friendly design make booking cheap domestic flights and last minute flight deals for Baton Rouge simpler than ever before.